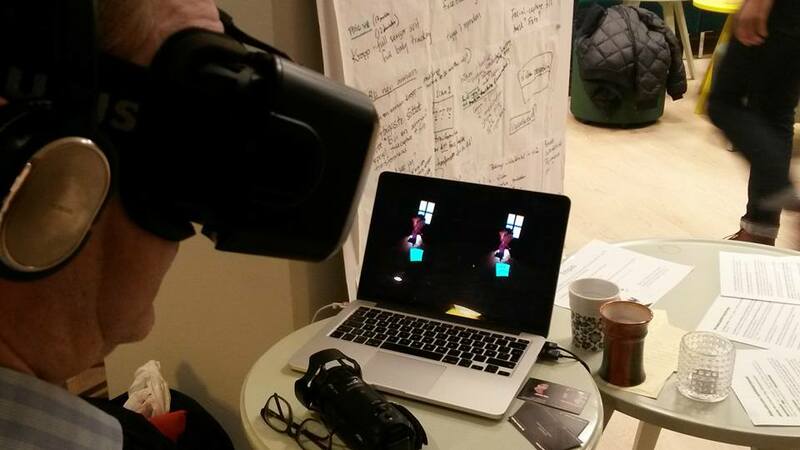 DoGoodGames is an interactive project and games in VR and for computer, for players worldwide, run by The Modern Theatre | Moderna Teatern AB in Sweden. We produce Empathy games, stories and other experiences for Virtual Reality (animated), Film (both VR and 2d) computer and occasionally for live events. January 2016 our first game in Virtual Reality 360° was ready. It´s the first game of three in a DoGoodGames-series about bullying in school. The targetgroup is teenage school pupils and the game is called ”Make Happy”. Do Good Games intend to produce interactive experiences, games, films and live events that creates interest between people and broaden the understanding of ”the other”. We want to explore and broaden storytelling and the world of immersive media and games and contribute to positive transformation.contribute to positive transformation. We want to question norms, increase awareness of equality and increase empathy for other people’s living conditions. Do good games is a collaboration between artists like directors, scriptwriters, actors, interactive designers and graphic designers, game designers and 3-D artists. Shorter VR-games for youngsters based on the idea that we can create experiences that will make the players more inclined to want to ´give´ or ´be empathetic´. We will also work on VR experiences with images or series of images and environments and cognitive manipulations, like artpieces. And we will produce animated stories and Empathy games for kids in 2d, computer games. In January 2016 we launched our first game, ”Make Happy” and the game is simply about cheering up a sad schoolmate. Make happy! It’s the first game of three in a DoGoodGames-series which deals with bullying at school. We are currently working on our next piece in the series, and it´s called “In the schoolyard no one can hear you scream”. A longer and more extensive VR game in which the player in ´first-person´ experiences what it is like to be someone else; of different ethnicity, religious belief, sexual orientation, or any other differential. 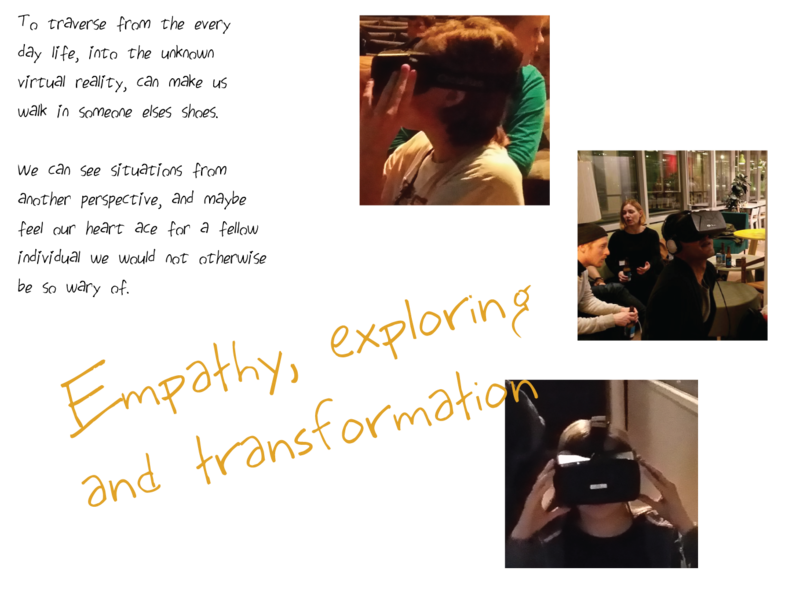 It´s a story-driven VR-experience in the meeting point between Serious Games and Performance Art, that aims to develop young people’s empathy and counter prejudices in society and within public debate, based on simplified truths about people or groups of people. This game might develop into a transmedia production story/film/tv series and is estimated to take around 3-5 years to produce. In parallel to the games we also intend to work together with scientists, architects and artists exploring what kind of feelings different images, environments and cognitive manipulations in VR, evoke in the mind of the player. How does the players think, regarding the same dilemma, before and after the VR experience. We want to explore digital storytelling by bridging old media and new media. Explore how to mix audiences and players. Get a greater and new audience and players by making cross- and transmedia productions that leads one audience to another, and players to new platforms, like film and maybe even theatre, the oldest form of storytelling… We also try to find ways to make our games participatory designed.